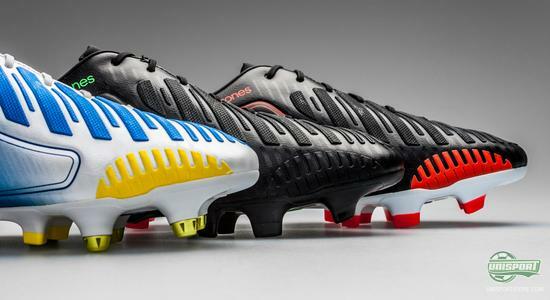 The new launches are piling up today, and now we can present the Adidas Predator LZ in no less than three new colourways. 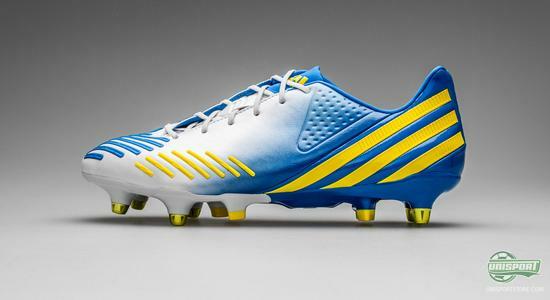 It comes in a White/Blue/Yellow variation, which we will see players from all over the world use. 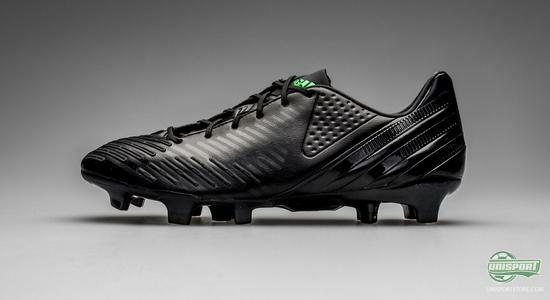 In addition, it will also come in a Black/Red colourway, which will be limited to a few selected players, and last, but not least, it will come in a blackout version, which we believe will become very popular also. 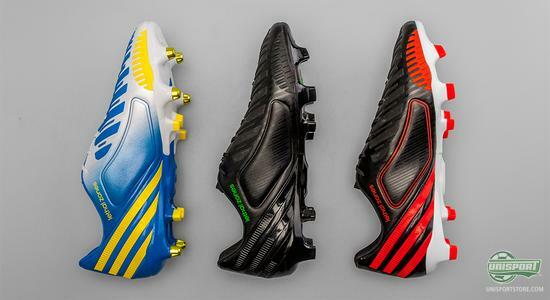 To get the full overview of all of the new Adidas colourways, go ahead and visit our great Unleash campaign site right here. The latest generation of the Adidas Predator collection, Lethal Zones, has moved somewhat away from the power boot category. The focus is now more on control and on that front, the boot really delivers. 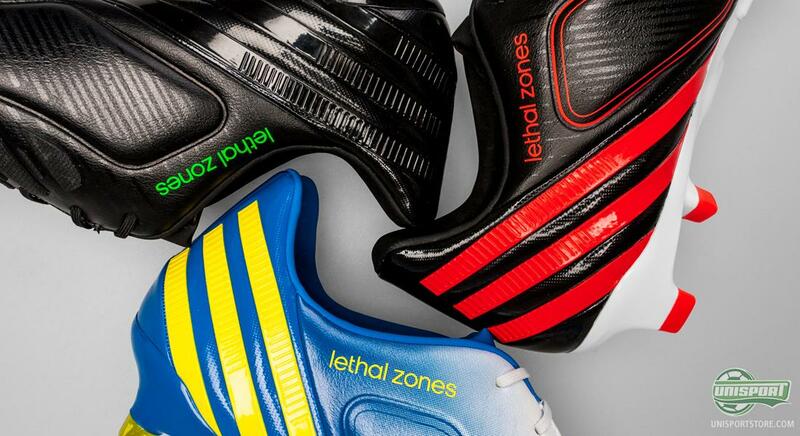 Adidas Predator LZ is built around five lethal zones, which have been developed in cooperation with professional footballers, and each zone improves a specific part of your game. 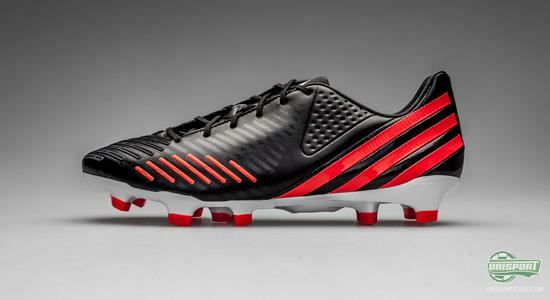 You can already pre-order your pair of the Adidas Predator LZ right here with expected delivery primo December  just 199. 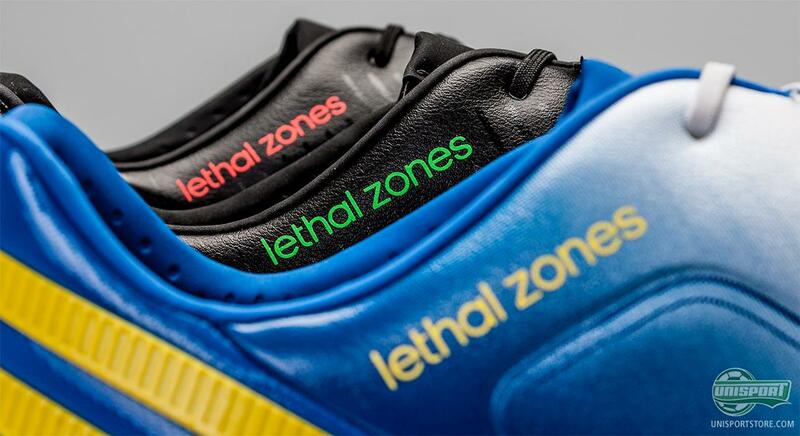 The first and largest zone is located on the instep: Drive. This zone focuses on the long pass and adding extra power to your strike. 'Drive' will provide that little extra power to your pass or strike that may just decide whether you win or lose the match. 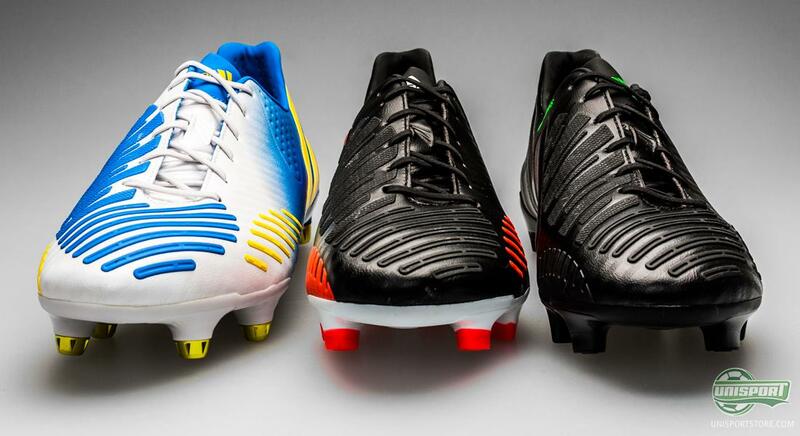 As previously mentioned, the zones are developed in cooperation with selected professional footballers, who have pointed out the specific critical areas of the boot, and who couldn't use the expert opinion of Xavi or Nani? On the medial side of the boot we find the Pass zone, which especially midfielders will benefit from. The area has been lined with memory foam and a 3D texture for improved ball grip. The Pass zone stabilises your passing, hereby freeing you from having to make up bad excuses for inaccurate passes. In addition, the Pass zone also provides better ball control and helps you get control over the ball when receiving it. Further down, on the medial side of the forefoot, we find the Sweet Spot. This zone will assist you when bending a shoot into the top corner or curling a free kick over the wall. 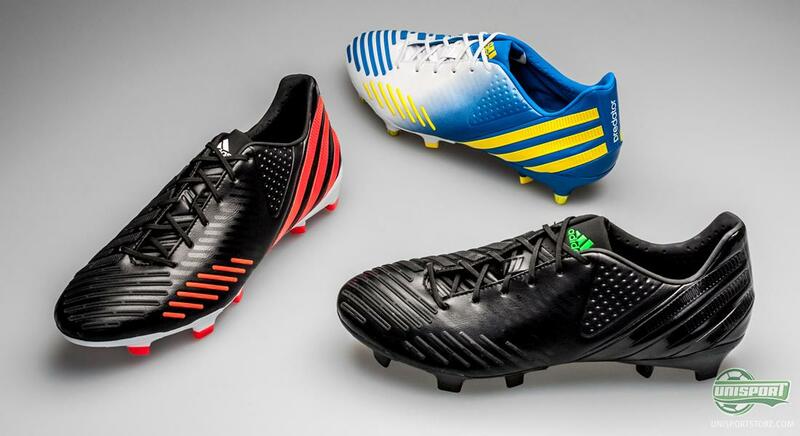 Now, you might already think that the Adidas Predator LZ covers what you need? But there is more to come. On the forefoot we find the First Touch zone, which will help your, as the name implies, first touch on the ball and hereby improve your ball control, and as Jakob mentioned in his review of the boot, it also provides increased ball grip when dribbling with your forefoot, which is a great advantage. In addition, the Dribble zone on the lateral side of the forefoot also adds to your ball control, thus allowing you to stay in total control when dribbling no matter what. 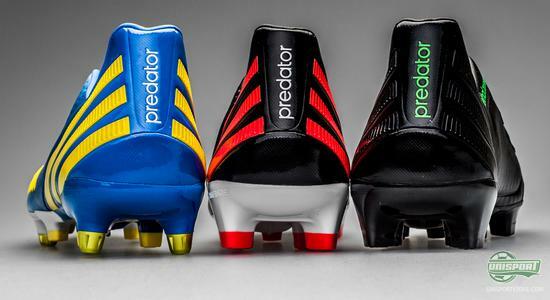 Players like Xavi, Nani, Nasri and Kaka will all wear the new Adidas Predator LZ White/Blue/Yellow in the not too distant future, but we believe that only a few selected players will have the honour of wearing the new Black/Red colourway, like for example a Predator front man, such as Steven Gerrard, would be a good guess. 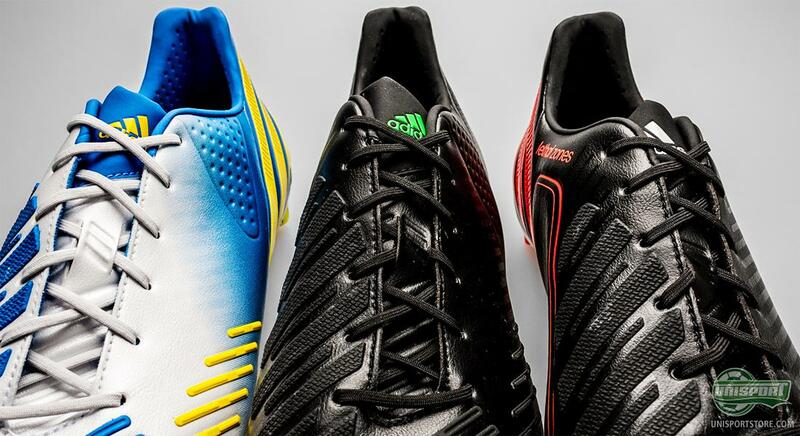 On the other hand, the blackout model will not be getting much player support, but we are still not expecting it to become anything less than a success. As usual, Adidas will launch a blackout version during a specific boots lifetime, and they're usually very popular. 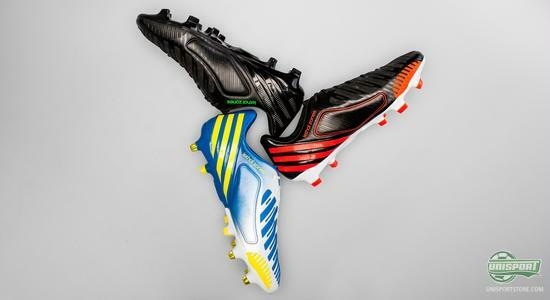 Now the time has come for the Adidas Predator LZ, and a few classic green coloured logo is among the very few details that are visible on the boot. This is clearly the most subdued colourway we have seen during the lifetime of the Predator LZ, and we are certain that it will become popular with a lot of people. A new feature on the Predator LZ is the stud configuration, which has moved away from the more bladed studs that were to be found on the previous generations of the boot. 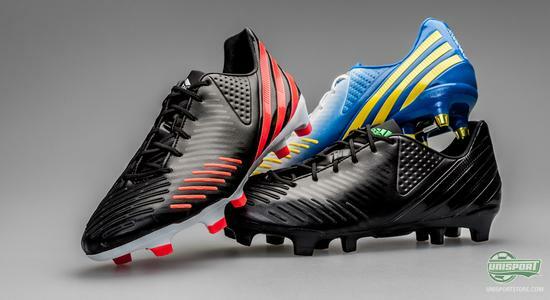 Instead, Adidas have chosen to go with the Traxion 2.0 configuration, which we already know from the Adidas' speed boot, F50 Adizero. This configuration is built around the triangular studs that combine the best from conical and bladed studs. 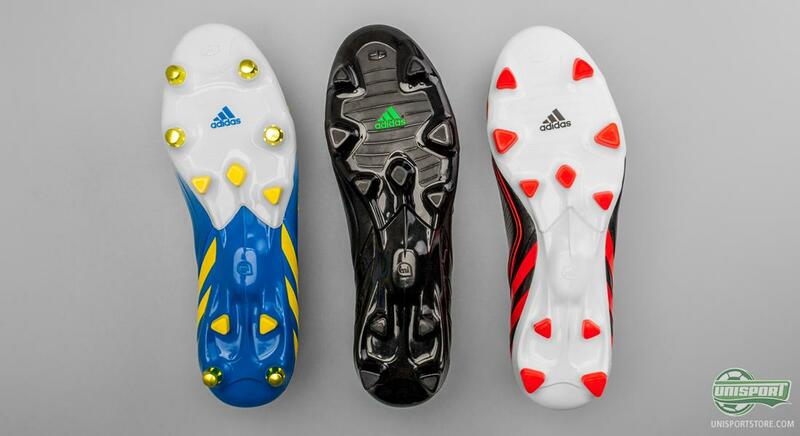 You will get fantastic acceleration and pitch grip, without compromising neither stability nor comfort. On top off this, you no longer have to only feel fast and brag to your friends about how fast you are, now you can actually prove it. The new Adidas Predator LZ is miCoach compatible and with Adidas' revolutionising chip you can measure and analyse your data from both match and training, such as average speed, top speed, number of sprints and much more. No less than three new colourways of the Adidas Predator LZ have seen the light of day this morning, and we must admit that it is very hard to pick out which one is cooler. 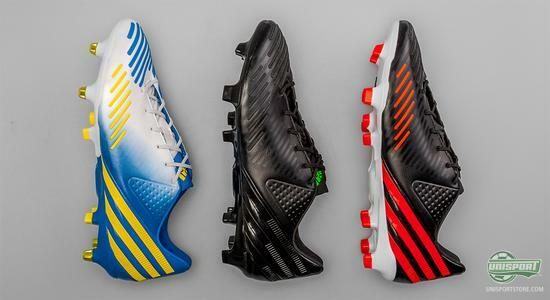 Which colourway does it for you? White/Blue/Yellow? 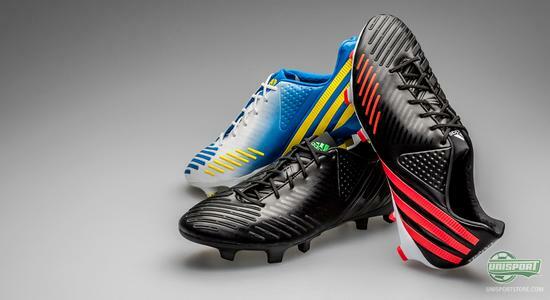 Black/Red? Or the Blackout version? Feel free to share your thoughts with us in the box just below.